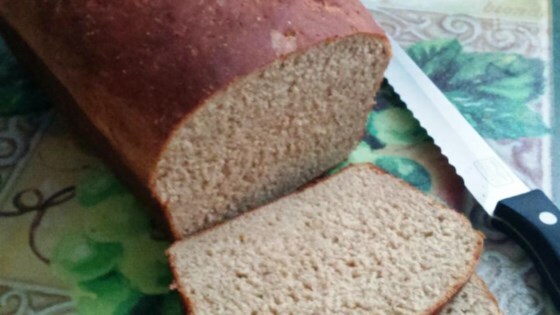 "A wonderful bread which uses soy milk and soy flour to replace the milk and part of the bread flour." Place ingredients in the pan of the bread machine in the order recommended by the manufacturer. Select basic bread setting, light/medium crust setting; press Start. If your machine has a Fruit setting, add the raisins and at the signal, or about 5 minutes before the kneading cycle has finished. It didn't turn out well at all. The texture was weird, the taste wasn't good. Nobody in my family would ever eat it. Really disappointing.